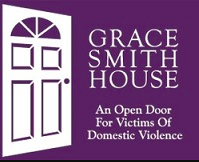 Our adopted charity for the Spring 2019 #TheEdCollabGathering is Grace Smith House. Chosen by our Opening Keynote Speaker, Charles R. Smith Jr., for their unwavering commitment to victims of domestic abuse. The Educator Collaborative is proud to adopt Grace Smith House during our event and hope you will consider donating to this important cause.